Below are Florida's statutes relating to Driving under the Influence. When you read them, you will probably conclude that they must be in another language. The needless complication and internal conflicts in the law are the product of continuous tinkering by generations of politicians. After all, why take a chance on some politically risky legislation when you can ensure your re-election by ratcheting up the penalties for DUI? (2)(a) Except as provided in paragraph (b), subsection (3), or subsection (4), any person who is convicted of a violation of subsection (1) shall be punished: 1. By a fine of: a. Not less than $500 or more than $1,000 for a first conviction. b. Not less than $1,000 or more than $2,000 for a second conviction; and 2. By imprisonment for: a. Not more than 6 months for a first conviction. b. Not more than 9 months for a second conviction. 3. For a second conviction, by mandatory placement for a period of at least 1 year, at the convicted person's sole expense, of an ignition interlock device approved by the department in accordance with s. 316.1938 upon all vehicles that are individually or jointly leased or owned and routinely operated by the convicted person, when the convicted person qualifies for a permanent or restricted license. The installation of such device may not occur before July 1, 2003. (b)1. Any person who is convicted of a third violation of this section for an offense that occurs within 10 years after a prior conviction for a violation of this section commits a felony of the third degree, punishable as provided in s. 775.082, s. 775.083, or s. 775.084. In addition, the court shall order the mandatory placement for a period of not less than 2 years, at the convicted person's sole expense, of an ignition interlock device approved by the department in accordance with s. 316.1938 upon all vehicles that are individually or jointly leased or owned and routinely operated by the convicted person, when the convicted person qualifies for a permanent or restricted license. The installation of such device may not occur before July 1, 2003. 2. Any person who is convicted of a third violation of this section for an offense that occurs more than 10 years after the date of a prior conviction for a violation of this section shall be punished by a fine of not less than $2,000 or more than $5,000 and by imprisonment for not more than 12 months. In addition, the court shall order the mandatory placement for a period of at least 2 years, at the convicted person's sole expense, of an ignition interlock device approved by the department in accordance with s. 316.1938 upon all vehicles that are individually or jointly leased or owned and routinely operated by the convicted person, when the convicted person qualifies for a permanent or restricted license. The installation of such device may not occur before July 1, 2003. 3. Any person who is convicted of a fourth or subsequent violation of this section, regardless of when any prior conviction for a violation of this section occurred, commits a felony of the third degree, punishable as provided in s. 775.082, s. 775.083, or s. 775.084. However, the fine imposed for such fourth or subsequent violation may be not less than $2,000. For purposes of this subsection, the definition of the term “unborn quick child” shall be determined in accordance with the definition of viable fetus as set forth in s. 782.071. A person who is convicted of DUI manslaughter shall be sentenced to a mandatory minimum term of imprisonment of 4 years. 2. Not less than $2,000 or more than $4,000 for a second conviction. 3. Not less than $4,000 for a third or subsequent conviction. 2. Not more than 12 months for a second conviction. 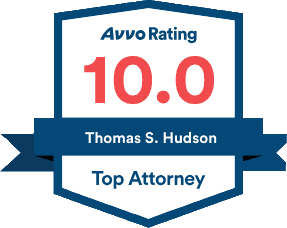 For the purposes of this subsection, only the instant offense is required to be a violation of subsection (1) by a person who has a blood-alcohol level or breath-alcohol level of 0.15 or higher. (c) In addition to the penalties in paragraphs (a) and (b), the court shall order the mandatory placement, at the convicted person's sole expense, of an ignition interlock device approved by the department in accordance with s. 316.1938 upon all vehicles that are individually or jointly leased or owned and routinely operated by the convicted person for not less than 6 continuous months for the first offense and for not less than 2 continuous years for a second offense, when the convicted person qualifies for a permanent or restricted license. (5) The court shall place all offenders convicted of violating this section on monthly reporting probation and shall require completion of a substance abuse course conducted by a DUI program licensed by the department under s. 322.292, which must include a psychosocial evaluation of the offender. If the DUI program refers the offender to an authorized substance abuse treatment provider for substance abuse treatment, in addition to any sentence or fine imposed under this section, completion of all such education, evaluation, and treatment is a condition of reporting probation. The offender shall assume reasonable costs for such education, evaluation, and treatment. The referral to treatment resulting from a psychosocial evaluation shall not be waived without a supporting independent psychosocial evaluation conducted by an authorized substance abuse treatment provider appointed by the court, which shall have access to the DUI program's psychosocial evaluation before the independent psychosocial evaluation is conducted. The court shall review the results and recommendations of both evaluations before determining the request for waiver. The offender shall bear the full cost of this procedure. The term “substance abuse” means the abuse of alcohol or any substance named or described in Schedules I through V of s. 893.03. If an offender referred to treatment under this subsection fails to report for or complete such treatment or fails to complete the DUI program substance abuse education course and evaluation, the DUI program shall notify the court and the department of the failure. Upon receipt of the notice, the department shall cancel the offender's driving privilege, notwithstanding the terms of the court order or any suspension or revocation of the driving privilege. The department may temporarily reinstate the driving privilege on a restricted basis upon verification from the DUI program that the offender is currently participating in treatment and the DUI education course and evaluation requirement has been completed. If the DUI program notifies the department of the second failure to complete treatment, the department shall reinstate the driving privilege only after notice of completion of treatment from the DUI program. The organization that conducts the substance abuse education and evaluation may not provide required substance abuse treatment unless a waiver has been granted to that organization by the department. A waiver may be granted only if the department determines, in accordance with its rules, that the service provider that conducts the substance abuse education and evaluation is the most appropriate service provider and is licensed under chapter 397 or is exempt from such licensure. A statistical referral report shall be submitted quarterly to the department by each organization authorized to provide services under this section. (a) For the first conviction, the court shall place the defendant on probation for a period not to exceed 1 year and, as a condition of such probation, shall order the defendant to participate in public service or a community work project for a minimum of 50 hours. The court may order a defendant to pay a fine of $10 for each hour of public service or community work otherwise required only if the court finds that the residence or location of the defendant at the time public service or community work is required or the defendant's employment obligations would create an undue hardship for the defendant. However, the total period of probation and incarceration may not exceed 1 year. The court must also, as a condition of probation, order the impoundment or immobilization of the vehicle that was operated by or in the actual control of the defendant or any one vehicle registered in the defendant's name at the time of impoundment or immobilization, for a period of 10 days or for the unexpired term of any lease or rental agreement that expires within 10 days. The impoundment or immobilization must not occur concurrently with the incarceration of the defendant. The impoundment or immobilization order may be dismissed in accordance with paragraph (e), paragraph (f), paragraph (g), or paragraph (h). (b) For the second conviction for an offense that occurs within a period of 5 years after the date of a prior conviction for violation of this section, the court shall order imprisonment for not less than 10 days. The court must also, as a condition of probation, order the impoundment or immobilization of all vehicles owned by the defendant at the time of impoundment or immobilization, for a period of 30 days or for the unexpired term of any lease or rental agreement that expires within 30 days. The impoundment or immobilization must not occur concurrently with the incarceration of the defendant and must occur concurrently with the driver's license revocation imposed under s. 322.28(2)(a)2. The impoundment or immobilization order may be dismissed in accordance with paragraph (e), paragraph (f), paragraph (g), or paragraph (h). At least 48 hours of confinement must be consecutive. (c) For the third or subsequent conviction for an offense that occurs within a period of 10 years after the date of a prior conviction for violation of this section, the court shall order imprisonment for not less than 30 days. The court must also, as a condition of probation, order the impoundment or immobilization of all vehicles owned by the defendant at the time of impoundment or immobilization, for a period of 90 days or for the unexpired term of any lease or rental agreement that expires within 90 days. The impoundment or immobilization must not occur concurrently with the incarceration of the defendant and must occur concurrently with the driver's license revocation imposed under s. 322.28(2)(a)3. The impoundment or immobilization order may be dismissed in accordance with paragraph (e), paragraph (f), paragraph (g), or paragraph (h). At least 48 hours of confinement must be consecutive. (e) A person who owns but was not operating the vehicle when the offense occurred may submit to the court a police report indicating that the vehicle was stolen at the time of the offense or documentation of having purchased the vehicle after the offense was committed from an entity other than the defendant or the defendant's agent. If the court finds that the vehicle was stolen or that the sale was not made to circumvent the order and allow the defendant continued access to the vehicle, the order must be dismissed and the owner of the vehicle will incur no costs. If the court denies the request to dismiss the order of impoundment or immobilization, the petitioner may request an evidentiary hearing. (f) A person who owns but was not operating the vehicle when the offense occurred, and whose vehicle was stolen or who purchased the vehicle after the offense was committed directly from the defendant or the defendant's agent, may request an evidentiary hearing to determine whether the impoundment or immobilization should occur. If the court finds that either the vehicle was stolen or the purchase was made without knowledge of the offense, that the purchaser had no relationship to the defendant other than through the transaction, and that such purchase would not circumvent the order and allow the defendant continued access to the vehicle, the order must be dismissed and the owner of the vehicle will incur no costs. (i) All costs and fees for the impoundment or immobilization, including the cost of notification, must be paid by the owner of the vehicle or, if the vehicle is leased or rented, by the person leasing or renting the vehicle, unless the impoundment or immobilization order is dismissed. All provisions of s. 713.78 shall apply. The costs and fees for the impoundment or immobilization must be paid directly to the person impounding or immobilizing the vehicle. (j) The person who owns a vehicle that is impounded or immobilized under this paragraph, or a person who has a lien of record against such a vehicle and who has not requested a review of the impoundment pursuant to paragraph (e), paragraph (f), or paragraph (g), may, within 10 days after the date that person has knowledge of the location of the vehicle, file a complaint in the county in which the owner resides to determine whether the vehicle was wrongfully taken or withheld from the owner or lienholder. Upon the filing of a complaint, the owner or lienholder may have the vehicle released by posting with the court a bond or other adequate security equal to the amount of the costs and fees for impoundment or immobilization, including towing or storage, to ensure the payment of such costs and fees if the owner or lienholder does not prevail. When the bond is posted and the fee is paid as set forth in s. 28.24, the clerk of the court shall issue a certificate releasing the vehicle. At the time of release, after reasonable inspection, the owner or lienholder must give a receipt to the towing or storage company indicating any loss or damage to the vehicle or to the contents of the vehicle. (k) A defendant, in the court's discretion, may be required to serve all or any portion of a term of imprisonment to which the defendant has been sentenced pursuant to this section in a residential alcoholism treatment program or a residential drug abuse treatment program. Any time spent in such a program must be credited by the court toward the term of imprisonment. (8) At the arraignment, or in conjunction with any notice of arraignment provided by the clerk of the court, the clerk shall provide any person charged with a violation of this section with notice that upon conviction the court shall suspend or revoke the offender's driver's license and that the offender should make arrangements for transportation at any proceeding in which the court may take such action. Failure to provide such notice does not affect the court's suspension or revocation of the offender's driver's license. (b) Until the person's blood-alcohol level or breath-alcohol level is less than 0.05; or (c) Until 8 hours have elapsed from the time the person was arrested. (a) “Immobilization,” “immobilizing,” or “immobilize” means the act of installing a vehicle antitheft device on the steering wheel of a vehicle, the act of placing a tire lock or wheel clamp on a vehicle, or a governmental agency's act of taking physical possession of the license tag and vehicle registration rendering a vehicle legally inoperable to prevent any person from operating the vehicle pursuant to an order of impoundment or immobilization under subsection (6). History.—s. 1, ch. 71-135; s. 19, ch. 73-331; s. 1, ch. 74-384; s. 1, ch. 76-31; s. 1, ch. 79-408; s. 1, ch. 80-343; s. 2, ch. 82-155; s. 1, ch. 82-403; s. 2, ch. 83-187; s. 1, ch. 83-228; s. 1, ch. 84-359; s. 24, ch. 85-167; s. 2, ch. 85-337; s. 1, ch. 86-296; s. 2, ch. 88-5; s. 5, ch. 88-82; s. 8, ch. 88-196; s. 8, ch. 88-324; s. 60, ch. 88-381; s. 7, ch. 89-3; ss. 1, 18, ch. 91-255; s. 32, ch. 92-78; ss. 1, 11, ch. 93-124; s. 3, ch. 93-246; s. 1, ch. 94-324; s. 895, ch. 95-148; s. 1, ch. 95-186; s. 4, ch. 95-333; s. 12, ch. 95-408; s. 3, ch. 96-330; s. 2, ch. 96-413; s. 48, ch. 97-100; s. 97, ch. 97-264; s. 25, ch. 97-271; ss. 6, 13, ch. 98-324; s. 5, ch. 99-234; s. 139, ch. 99-248; s. 4, ch. 2000-313; s. 10, ch. 2000-320; s. 2, ch. 2002-78; s. 1, ch. 2002-263; s. 1, ch. 2004-379; s. 1, ch. 2005-119; s. 3, ch. 2007-211; s. 29, ch. 2008-111; s. 5, ch. 2008-176; s. 5, ch. 2009-138; s. 10, ch. 2009-206; s. 5, ch. 2010-223. Note.—Former s. 316.028. (1)(a)1.a. Any person who accepts the privilege extended by the laws of this state of operating a motor vehicle within this state is, by so operating such vehicle, deemed to have given his or her consent to submit to an approved chemical test or physical test including, but not limited to, an infrared light test of his or her breath for the purpose of determining the alcoholic content of his or her blood or breath if the person is lawfully arrested for any offense allegedly committed while the person was driving or was in actual physical control of a motor vehicle while under the influence of alcoholic beverages. The chemical or physical breath test must be incidental to a lawful arrest and administered at the request of a law enforcement officer who has reasonable cause to believe such person was driving or was in actual physical control of the motor vehicle within this state while under the influence of alcoholic beverages. The administration of a breath test does not preclude the administration of another type of test. The person shall be told that his or her failure to submit to any lawful test of his or her breath will result in the suspension of the person's privilege to operate a motor vehicle for a period of 1 year for a first refusal, or for a period of 18 months if the driving privilege of such person has been previously suspended as a result of a refusal to submit to such a test or tests, and shall also be told that if he or she refuses to submit to a lawful test of his or her breath and his or her driving privilege has been previously suspended for a prior refusal to submit to a lawful test of his or her breath, urine, or blood, he or she commits a misdemeanor in addition to any other penalties. The refusal to submit to a chemical or physical breath test upon the request of a law enforcement officer as provided in this section is admissible into evidence in any criminal proceeding. b. Any person who accepts the privilege extended by the laws of this state of operating a motor vehicle within this state is, by so operating such vehicle, deemed to have given his or her consent to submit to a urine test for the purpose of detecting the presence of chemical substances as set forth in s. 877.111 or controlled substances if the person is lawfully arrested for any offense allegedly committed while the person was driving or was in actual physical control of a motor vehicle while under the influence of chemical substances or controlled substances. The urine test must be incidental to a lawful arrest and administered at a detention facility or any other facility, mobile or otherwise, which is equipped to administer such tests at the request of a law enforcement officer who has reasonable cause to believe such person was driving or was in actual physical control of a motor vehicle within this state while under the influence of chemical substances or controlled substances. The urine test shall be administered at a detention facility or any other facility, mobile or otherwise, which is equipped to administer such test in a reasonable manner that will ensure the accuracy of the specimen and maintain the privacy of the individual involved. The administration of a urine test does not preclude the administration of another type of test. The person shall be told that his or her failure to submit to any lawful test of his or her urine will result in the suspension of the person's privilege to operate a motor vehicle for a period of 1 year for the first refusal, or for a period of 18 months if the driving privilege of such person has been previously suspended as a result of a refusal to submit to such a test or tests, and shall also be told that if he or she refuses to submit to a lawful test of his or her urine and his or her driving privilege has been previously suspended for a prior refusal to submit to a lawful test of his or her breath, urine, or blood, he or she commits a misdemeanor in addition to any other penalties. The refusal to submit to a urine test upon the request of a law enforcement officer as provided in this section is admissible into evidence in any criminal proceeding. g. Have the authority to approve or disapprove breath test instruments and accompanying paraphernalia for use pursuant to the driving and boating under the influence provisions and related provisions located in this chapter and chapters 322 and 327.
k. Make recommendations concerning any matter within the purview of this section, this chapter, chapter 322, or chapter 327.
n. Have the authority to approve the type of blood test utilized under the driving and boating under the influence provisions and related provisions located in this chapter and chapters 322 and 327.
o. 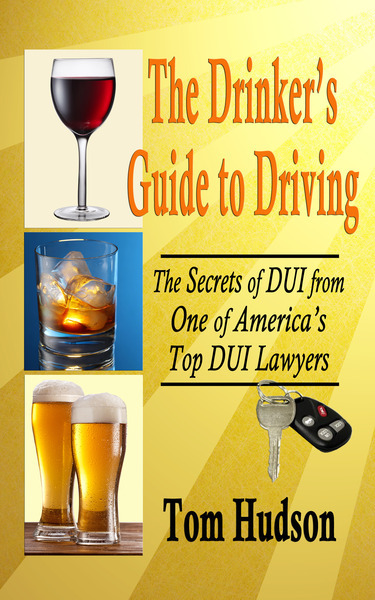 Have the authority to specify techniques and methods for breath alcohol testing and blood testing utilized under the driving and boating under the influence provisions and related provisions located in this chapter and chapters 322 and 327. 2. An analysis of a person's breath, in order to be considered valid under this section, must have been performed substantially according to methods approved by the Department of Law Enforcement. For this purpose, the department may approve satisfactory techniques or methods. Any insubstantial differences between approved techniques and actual testing procedures in any individual case do not render the test or test results invalid. (c) Any person who accepts the privilege extended by the laws of this state of operating a motor vehicle within this state is, by operating such vehicle, deemed to have given his or her consent to submit to an approved blood test for the purpose of determining the alcoholic content of the blood or a blood test for the purpose of determining the presence of chemical substances or controlled substances as provided in this section if there is reasonable cause to believe the person was driving or in actual physical control of a motor vehicle while under the influence of alcoholic beverages or chemical or controlled substances and the person appears for treatment at a hospital, clinic, or other medical facility and the administration of a breath or urine test is impractical or impossible. As used in this paragraph, the term “other medical facility” includes an ambulance or other medical emergency vehicle. The blood test shall be performed in a reasonable manner. Any person who is incapable of refusal by reason of unconsciousness or other mental or physical condition is deemed not to have withdrawn his or her consent to such test. A blood test may be administered whether or not the person is told that his or her failure to submit to such a blood test will result in the suspension of the person's privilege to operate a motor vehicle upon the public highways of this state and that a refusal to submit to a lawful test of his or her blood, if his or her driving privilege has been previously suspended for refusal to submit to a lawful test of his or her breath, urine, or blood, is a misdemeanor. Any person who is capable of refusal shall be told that his or her failure to submit to such a blood test will result in the suspension of the person's privilege to operate a motor vehicle for a period of 1 year for a first refusal, or for a period of 18 months if the driving privilege of the person has been suspended previously as a result of a refusal to submit to such a test or tests, and that a refusal to submit to a lawful test of his or her blood, if his or her driving privilege has been previously suspended for a prior refusal to submit to a lawful test of his or her breath, urine, or blood, is a misdemeanor. The refusal to submit to a blood test upon the request of a law enforcement officer is admissible in evidence in any criminal proceeding. (d) If the arresting officer does not request a chemical or physical breath test of the person arrested for any offense allegedly committed while the person was driving or was in actual physical control of a motor vehicle while under the influence of alcoholic beverages or controlled substances, such person may request the arresting officer to have a chemical or physical test made of the arrested person's breath or a test of the urine or blood for the purpose of determining the alcoholic content of the person's blood or breath or the presence of chemical substances or controlled substances; and, if so requested, the arresting officer shall have the test performed. (e)1. By applying for a driver's license and by accepting and using a driver's license, the person holding the driver's license is deemed to have expressed his or her consent to the provisions of this section. 2. A nonresident or any other person driving in a status exempt from the requirements of the driver's license law, by his or her act of driving in such exempt status, is deemed to have expressed his or her consent to the provisions of this section. 3. A warning of the consent provision of this section shall be printed on each new or renewed driver's license. (f)1. The tests determining the weight of alcohol in the defendant's blood or breath shall be administered at the request of a law enforcement officer substantially in accordance with rules of the Department of Law Enforcement. Such rules must specify precisely the test or tests that are approved by the Department of Law Enforcement for reliability of result and ease of administration, and must provide an approved method of administration which must be followed in all such tests given under this section. However, the failure of a law enforcement officer to request the withdrawal of blood does not affect the admissibility of a test of blood withdrawn for medical purposes. 2.a. Only a physician, certified paramedic, registered nurse, licensed practical nurse, other personnel authorized by a hospital to draw blood, or duly licensed clinical laboratory director, supervisor, technologist, or technician, acting at the request of a law enforcement officer, may withdraw blood for the purpose of determining its alcoholic content or the presence of chemical substances or controlled substances therein. However, the failure of a law enforcement officer to request the withdrawal of blood does not affect the admissibility of a test of blood withdrawn for medical purposes. b. Notwithstanding any provision of law pertaining to the confidentiality of hospital records or other medical records, if a health care provider, who is providing medical care in a health care facility to a person injured in a motor vehicle crash, becomes aware, as a result of any blood test performed in the course of that medical treatment, that the person's blood-alcohol level meets or exceeds the blood-alcohol level specified in s. 316.193(1)(b), the health care provider may notify any law enforcement officer or law enforcement agency. Any such notice must be given within a reasonable time after the health care provider receives the test result. Any such notice shall be used only for the purpose of providing the law enforcement officer with reasonable cause to request the withdrawal of a blood sample pursuant to this section. c. The notice shall consist only of the name of the person being treated, the name of the person who drew the blood, the blood-alcohol level indicated by the test, and the date and time of the administration of the test. d. Nothing contained in s. 395.3025(4), s. 456.057, or any applicable practice act affects the authority to provide notice under this section, and the health care provider is not considered to have breached any duty owed to the person under s. 395.3025(4), s. 456.057, or any applicable practice act by providing notice or failing to provide notice. It shall not be a breach of any ethical, moral, or legal duty for a health care provider to provide notice or fail to provide notice. e. A civil, criminal, or administrative action may not be brought against any person or health care provider participating in good faith in the provision of notice or failure to provide notice as provided in this section. Any person or health care provider participating in the provision of notice or failure to provide notice as provided in this section shall be immune from any civil or criminal liability and from any professional disciplinary action with respect to the provision of notice or failure to provide notice under this section. Any such participant has the same immunity with respect to participating in any judicial proceedings resulting from the notice or failure to provide notice. 3. The person tested may, at his or her own expense, have a physician, registered nurse, other personnel authorized by a hospital to draw blood, or duly licensed clinical laboratory director, supervisor, technologist, or technician, or other person of his or her own choosing administer an independent test in addition to the test administered at the direction of the law enforcement officer for the purpose of determining the amount of alcohol in the person's blood or breath or the presence of chemical substances or controlled substances at the time alleged, as shown by chemical analysis of his or her blood or urine, or by chemical or physical test of his or her breath. The failure or inability to obtain an independent test by a person does not preclude the admissibility in evidence of the test taken at the direction of the law enforcement officer. The law enforcement officer shall not interfere with the person's opportunity to obtain the independent test and shall provide the person with timely telephone access to secure the test, but the burden is on the person to arrange and secure the test at the person's own expense. 4. Upon the request of the person tested, full information concerning the results of the test taken at the direction of the law enforcement officer shall be made available to the person or his or her attorney. Full information is limited to the following:a. The type of test administered and the procedures followed.b. The time of the collection of the blood or breath sample analyzed.c. The numerical results of the test indicating the alcohol content of the blood and breath.d. The type and status of any permit issued by the Department of Law Enforcement which was held by the person who performed the test.e. If the test was administered by means of a breath testing instrument, the date of performance of the most recent required inspection of such instrument.Full information does not include manuals, schematics, or software of the instrument used to test the person or any other material that is not in the actual possession of the state. Additionally, full information does not include information in the possession of the manufacturer of the test instrument. 5. A hospital, clinical laboratory, medical clinic, or similar medical institution or physician, certified paramedic, registered nurse, licensed practical nurse, other personnel authorized by a hospital to draw blood, or duly licensed clinical laboratory director, supervisor, technologist, or technician, or other person assisting a law enforcement officer does not incur any civil or criminal liability as a result of the withdrawal or analysis of a blood or urine specimen, or the chemical or physical test of a person's breath pursuant to accepted medical standards when requested by a law enforcement officer, regardless of whether or not the subject resisted administration of the test. (3) Notwithstanding any provision of law pertaining to the confidentiality of hospital records or other medical records, information relating to the alcoholic content of the blood or breath or the presence of chemical substances or controlled substances in the blood obtained pursuant to this section shall be released to a court, prosecuting attorney, defense attorney, or law enforcement officer in connection with an alleged violation of s. 316.193 upon request for such information. History.—s. 3, ch. 82-155; s. 3, ch. 82-403; s. 1, ch. 83-218; s. 4, ch. 83-228; s. 3, ch. 84-359; s. 2, ch. 86-296; s. 3, ch. 88-5; s. 1, ch. 88-82; s. 2, ch. 91-255; s. 20, ch. 92-58; s. 314, ch. 95-148; s. 4, ch. 96-330; s. 1, ch. 98-27; s. 6, ch. 2000-160; s. 1, ch. 2000-226; s. 2, ch. 2002-263; s. 1, ch. 2003-54; s. 33, ch. 2005-164; s. 1, ch. 2006-247.